Bangkok, Thailand – November 6, 2015: View of Traffic in Bangkok. Motorcycles and cars are on the road. 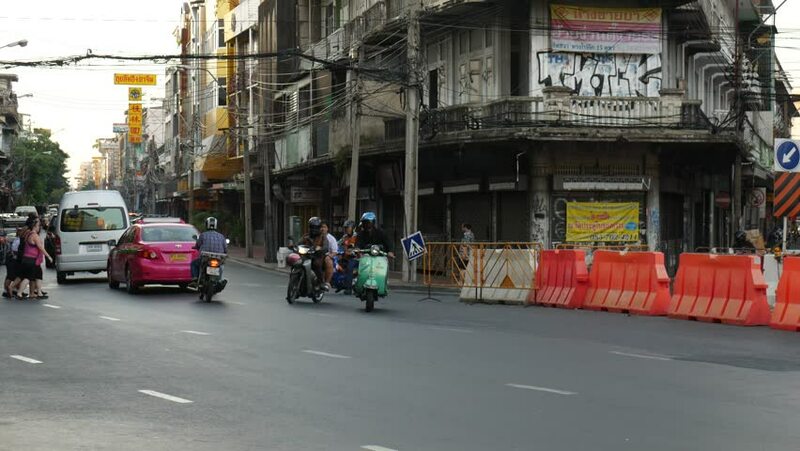 Some people use motorcycles to go through traffic jams in Bangkok in the rush hour. hd00:16London, United Kingdom - November 19, 2013: Traffic at Oxford Street Winter Day in London, United Kingdom.